The stereotype is that pro-life people are self-righteous Christians trying to force their religion on others and tell them how to live. But the pro-life people I know don’t fit that description. We are a movement not of saints but of sinners. Our movement doesn’t have a distant ivory-tower, holier-than-thou relationship with abortion. Quite the opposite. The most powerful voices for life are those women who have lain on that table and had an abortion. They are the voices of men who have pressured, persuaded and paid for an abortion. They are abortion facility workers who have counseled, sold and advocated abortion, and even doctors who have performed abortions. These are the voices of the pro-life movement. Not self-righteous Christians, but professed sinners. We are a movement of converts. And a movement of converts can only be a movement of hope. I learned this first hand as a freshman in high school. I had wonderful Irish priests in my Catholic school who urged me to go to a pro-life event at the largest Baptist church in my town of Tyler, Texas – Green Acres Baptist. I had never been to a Baptist church before, and as a Catholic this was my first exposure to the powerful Christian unity in the pro-life movement. I listened closely to the guest speaker, Carol Everett. Carol had run four abortion facilities in the Dallas area before her conversion. As a teenager, I was struck by her honesty as she described how she had carried out this evil work. She openly talked about lying to women, making money and hiding any woman who chose life from those who were outside praying. She wanted to crush the morale of the praying pro-lifers. 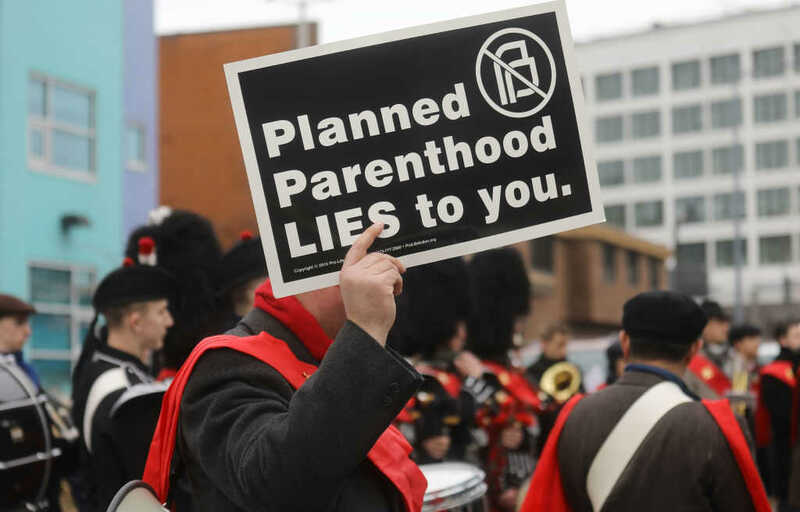 As I listened to Carol, little did I know that one day I would have another Planned Parenthood director walk into my office with a change of heart – Abby Johnson. I had watched Abby go in and out of her facility for eight years before she unexpectedly walked next door to 40 Days for Life, which holds prayer vigils outside abortion facilities. She sat down, cried about finally seeing the truth of the work she had been part of – and resigned from her job the next day. Today, Abby Johnson is one of the most powerful voices for the unborn. While in high school, I also saw a video about the conversion of Norma McCorvey, who before becoming pro-life, represented abortion rights for women as the “Roe” of the infamous Roe v. Wade case. Then at Texas A&M, I was afraid to become a sidewalk counselor outside abortion clinics until I heard five post-abortive women share their powerful testimonies. Their stories emboldened me to serve on the sidewalk. Dr. Bernard Nathenson, the founder of the oldest abortion advocacy group in the country, NARAL Pro-Choice America, was one of the first abortion doctors to have a conversion, after he filmed a live abortion with his ultrasound machine. The list of converts goes on and on and on. The pro-life movement, because it is a movement of converts, is a movement of hope. That is why, despite decades of legalization, there is more momentum in the pro-life movement than ever before. From women who have been through an abortion, to men who encouraged abortions, to doctors who have performed abortions, to people who at one point supported abortion rights — the conversion gate seems to swing in only one direction. I haven’t heard of women who get married, have children, run a pro-life group and then decide they should be running a Planned Parenthood abortion facility. I haven’t meet doctors who regret not going back and doing abortions instead of oncology, radiology or another field of medicine. The change in hearts and minds is moving in only one direction because it is God who opens the floodgates for us to change and be made new. The pro-life movement reflects that beautiful reality like no other movement in our culture, and that should give us great hope. This is adapted from “The Beginning of the End of Abortion: 40 Inspiring Stories of God Changing Hearts and Saving Lives” by Shawn Carney. The book will be released September 12. Shawn began as a volunteer in the pro-life movement while still in college. During this time he helped to lead the first-ever local 40 Days for Life campaign. After graduating from college, Shawn was asked to serve as the Executive Director of the Coalition for Life, a local pro-life organization in Texas made up of more than 60 churches. From its beginning, Shawn has been instrumental in growing 40 Days for Life nationally and then internationally. Shawn is a regular media spokesperson and his work has been featured on hundreds of outlets including Fox News’ The O’Reilly Factor, The Laura Ingraham Show, The Drudge Report, The Guardian, USA Today, and Christian media including The Christian Post, National Catholic Register, Sirius XM Catholic Radio, EWTN Radio, and Focus on the Family.